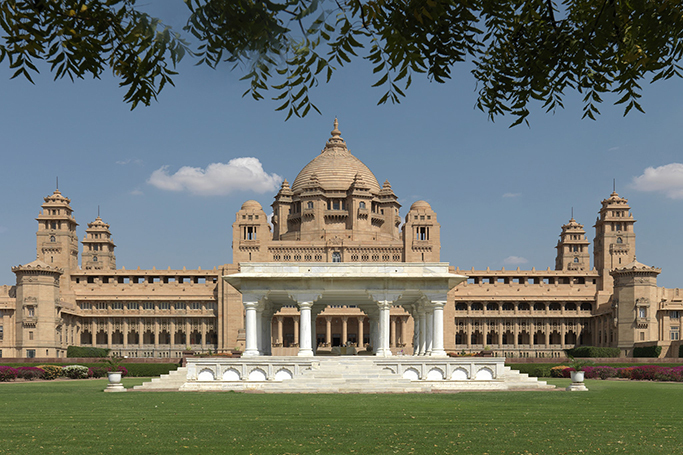 Built between 1928 and 1943, the Umaid Bhawan Palace is blend of Mughal architecture and Hindu temples. It has 347 rooms, a great vaulted banquet hall, a museum of the royal family’s classic cars, a throne chamber, a ballroom and swimming pools. The palace sits at the city’s highest point on Chittar Hill, with stunning views of sunset and the blue painted houses below. It is definitely a venue for a fairy tale wedding! The wedding is believed to take place at the end of the month, with Chopra celebrating her bachelorette party in Amsterdam earlier this month. November is the busiest month of India’s winter wedding season, so we’re pretty sure the big day is fast approaching. Anticipation for the star-studded Chonas wedding is building, especially after a glimpse of the breath-taking venue.